By 2020, the government plans to create 3 million apprenticeships. That means in a few years time 1 in 10 of the current UK workforce of 32 million, will be studying to become - or qualified as - an apprentice. We looked at whether there is a ‘skills mismatch’ in the apprenticeship market. And if so, what can employers who train (or are about to train) apprentices do about it? 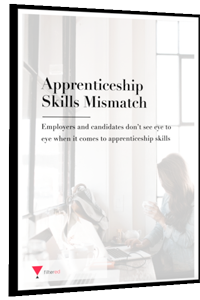 Download our report to understand where the skills deficit/surplus is in the apprenticeship market, and help your apprentices be the best they can be!